When he was quite young, the Word Burglar desperately wanted to learn to read, but his mother and father were too busy working and caring for his big brothers and sisters to stop long enough to teach him. “Please,” he begged. “The words look good enough to eat. Please, somebody! Teach me how to read!” Children at the cusp of reading will understand the insatiable desire that turns this quiet little boy to a life of crime, stealing words from the books of friends and neighbors with the faint hope that one day he will be able to read. The Word Burglar reveals the beauty and power of language and helps children understand that without reading skills they become diminished. 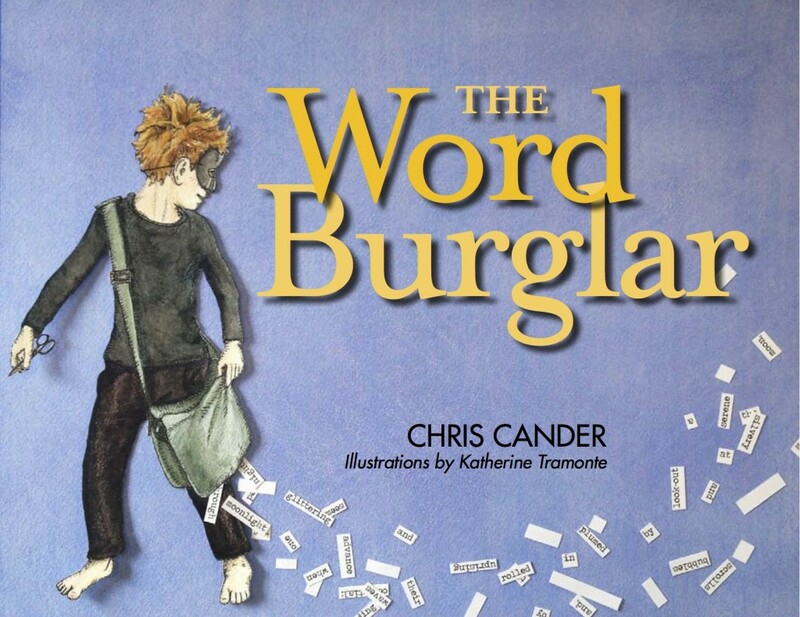 With the Word Burglar’s purloined words and intriguing art that puts the power of books in proper perspective, this tongue-in-cheek tale will delight logophiles of all ages and encourage new or struggling readers to persevere.